Erastus Worthington, The history of Dedham: from the beginning of its settlement, in September 1635, to May 1827, Boston: Dutton and Wentworth, (1827) , p. 28. Find A Grave Memorial# 21236745. Ancestry.com. 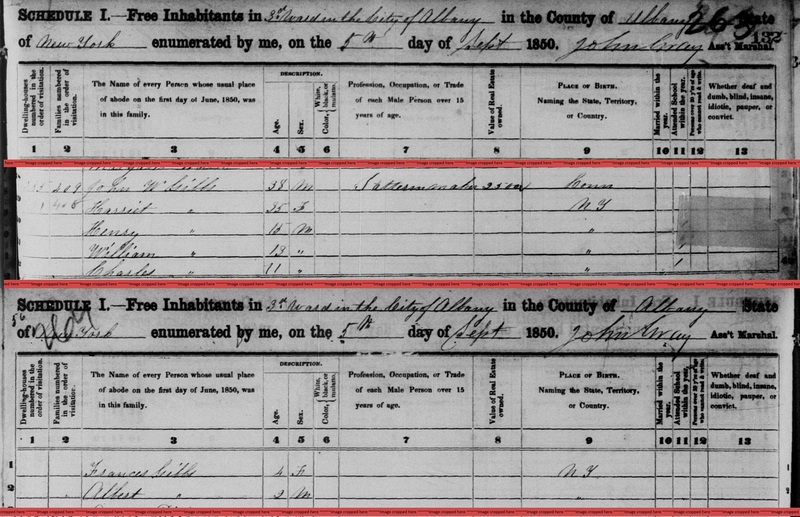 New York, State Census, 1855 [database on-line]. Provo, UT, USA: Ancestry.com Operations, Inc., 2013. Charles Warren Gibbs was born on November 8, 1838 in Albany, Albany County, New York. He was selected to represent his (Albany) ward in this regiment. was mustered in as 2d Lieutenant of Company F, Aug. 17, 1861 and as Captain of Company I, Dec. 24, 1862. Eugene Arus Nash, A history of the Forty-fourth regiment, New York volunteer infantry, in the civil war, 1861-1865, Chicago: R. R. Donnelley & sons company, (1910) , p. 88. Ancestry.com. 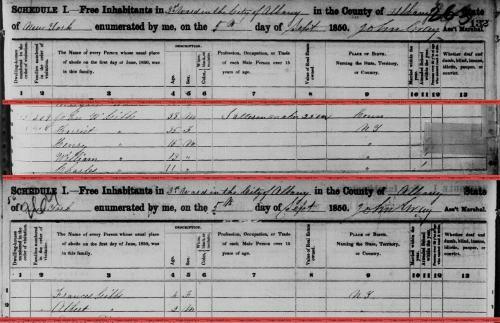 New York, State Census, 1875 [database on-line]. Provo, UT, USA: Ancestry.com Operations, Inc., 2013. 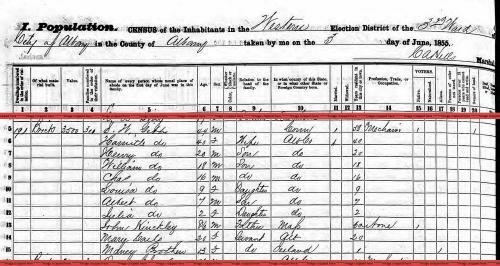 "New York State Census, 1875," database with images, FamilySearch (https://familysearch.org/pal:/MM9.3.1/TH-1942-21617-25769-82?cc=1918735 : 21 May 2014), Albany > Albany, Ward 05, E.D. Northern > image 21 of 24; State Library, Albany. Record added: Apr 25, 2013.
living at Albany, Albany County, New York. Unknown author, "Necrology", The Universalist register No. LXXII (1907): p. 108. Maine State Archives, Maine Marriages 1892-1996 (except 1967 to 1976), Maine. Index obtained from Maine Department of the Secretary of State, Maine State Archives,. Massachusetts Death Index, 1970-2003 [database on-line], Provo, UT, USA: MyFamily.com, Inc., ((2005)) , Certificate: 048132. Brockton, Massachusetts City Directory, 1947, p. 534. "Maine Births and Christenings, 1739-1900," database, FamilySearch (https://familysearch.org/ark:/61903/1:1:F4M9-PYY : 4 December 2014), Catherine Gifford, 04 May 1870; citing ; FHL microfilm 12,014. 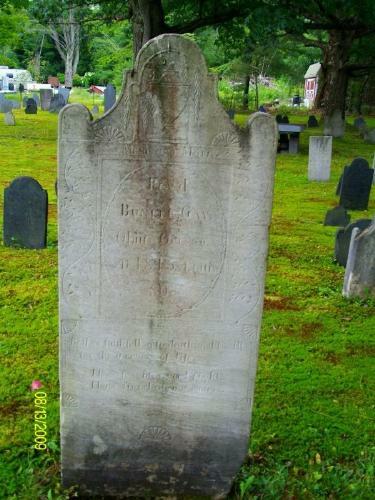 "Maine Deaths and Burials, 1841-1910," database, FamilySearch (https://familysearch.org/ark:/61903/1:1:F484-M45 : 4 December 2014), Katherine Gifford, 26 Dec 1893; citing reference p42; FHL microfilm 12,019. Record added: Apr 29, 2014. 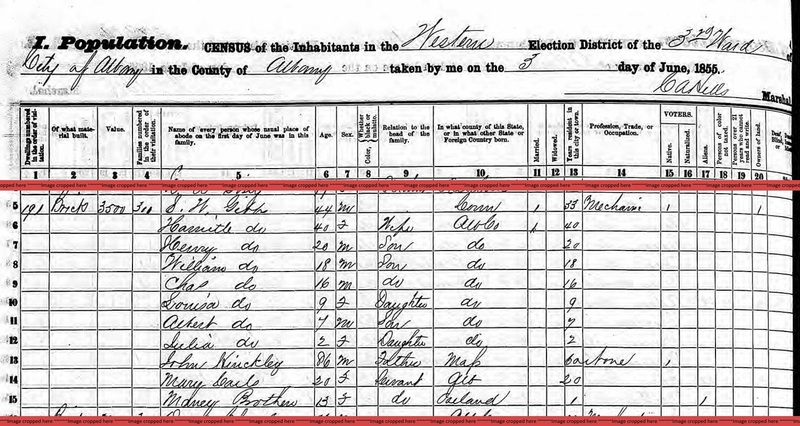 "United States Census, 1910," database with images, FamilySearch (https://familysearch.org/ark:/61903/1:1:MR39-LXP : 29 October 2015), George Gifford, Portland Ward 6, Cumberland, Maine, United States; citing enumeration district (ED) ED 85, sheet 4A, NARA microfilm publication T624 (Washington, D.C.: National Archives and Records Administration, n.d.); FHL microfilm 1,374,552.